Up for sale is a HPI Sprint 2 Flux. This is the brushless edition capable of 50+ mph. 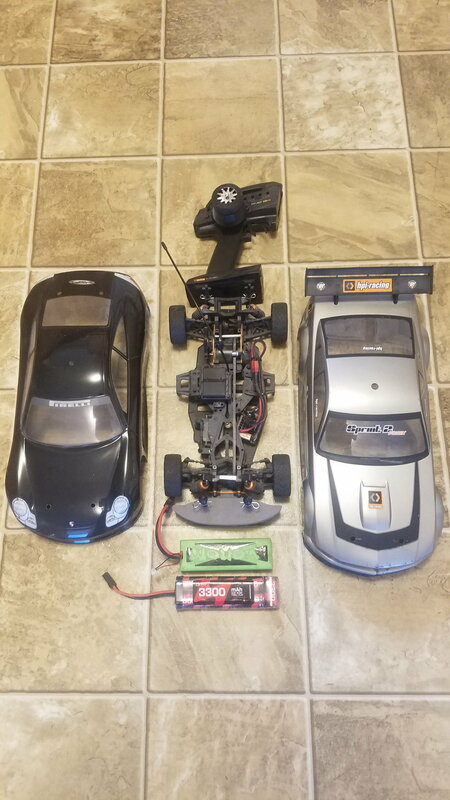 RC is in good shape and will include controller, a 8.4 volt 3300 nimh battery, a venom 7.2 volt 5000mah lipo, a Porsche body in good shape, and a mustang body in fair shape. Asking 175.00 or willing to trade for a Traxxas Rustler or Slash (must be brushless) or a Arrma Typhoon 3s. Would also consider roller for roller with servo. Has upgraded RPM rod ends installed on the rear, and a package with 8 more to do the front if so desired.